Do you ever feel that reading becomes a chore sometimes? It’s weird that I haven’t felt that way before, but now that I’ve joined some challenges, I feel that I actually need to read something instead of just reading any book I want. The challenges are something I enjoy. They’re fun, and the satisfaction of crossing out a book from a list feels great, but I am starting to feel a little ‘limited’. Maybe I’ve always been a moody reader and dive into a book I feel like reading instead of consulting a TBR list. Perhaps next year I’ll join fewer challenges because I sort of feel overwhelmed with all the books I need to read. 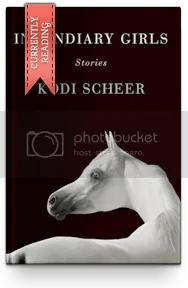 I’m taking a cue from Sophie (Paper Breathers) to scrap my reading schedule because I do read for pleasure, and if I find that I am forcing myself to read a book, I need to look at myself, ask why, and probably stop. Also, I used to not abandon a book once it starts to drag. I try to finish the book even if it’s boring me to tears. Now though, I feel that I have the right to stop reading when it’s not working out. For me, reading is for the absolute pleasure of diving into a different world. And yes, when the reading experience is pleasurable and I feel that I have a great book in my hands, I learn. Boy, do I learn. 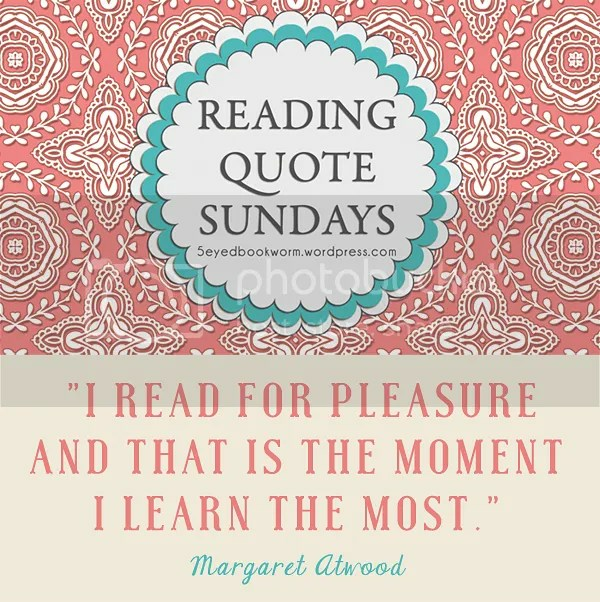 Categories: Reading Quote Sundays | Tags: margaret atwood, reading, reading quote sundays, reading quotes | Permalink.